I'm no doubt late getting around to this, but this website has a new page, "Contact RLTP." You can find it at the very top of the website. It was actually so simple to implement that I'm kicking myself for not doing it earlier. Comments on photos are definitely welcome and should still go in the "Leave a comment" section under each photo. But if you desire to contact me directly, there's a proper contact form now. Ah, monuments, Soviet Style. Especially if memorializing World War II. They are just so much bigger than life! Big! Bold! Heroic! The Battle of the Dnieper Statue is located at the Museum of the Great Patriotic War in Kiev. 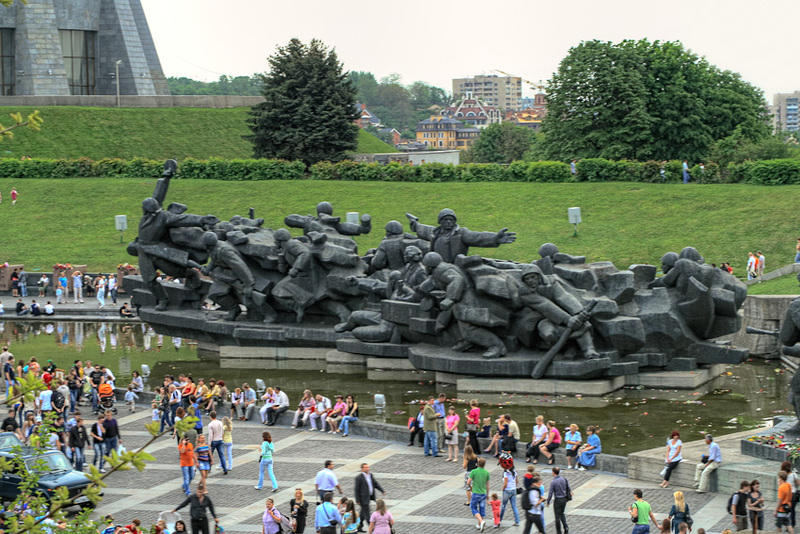 It commemorates a pivotal battle that liberated Kiev from Nazi Germany. This is just one of the, well, monumental monuments found on the grounds. This is a modified version of the photo Battle of the Dnieper statue, posted earlier.